How fabulous does this sound? Not just one, but two Friday evenings jam-packed with fabulous flavour-filled fare. Hosted by the Eumundi Markets, Fabulous Foodie Fare is bringing divinely delectable food from all around the world to you! Can't decide what to do on a Friday evening? 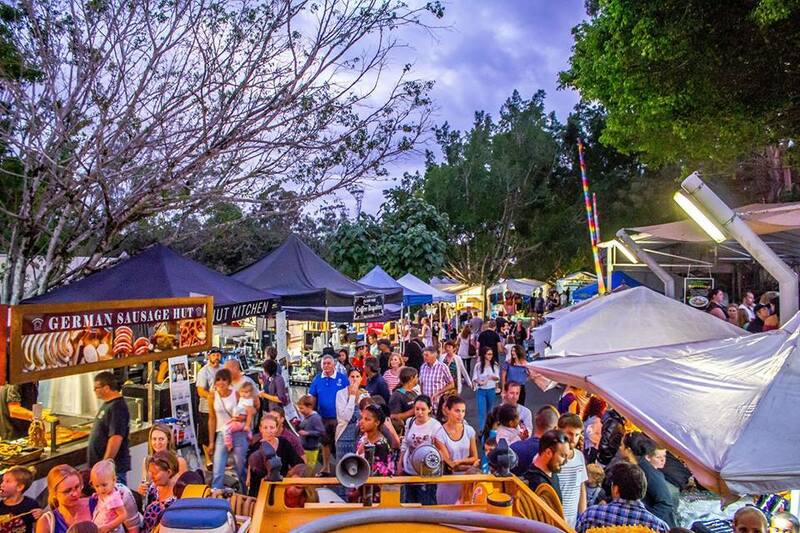 Grab your foodie-loving buddies and make your way down to Eumundi to taste your way through the very best in street food … all accompanied by FREE live music too. A fabulous way to spend a Friday evening! Oh my jingles, this does sound superb! Hosted by the DooWop Dolls, the Eumundi Community Christmas Carols is a fabulous way to celebrate Christmas within the community. The cherry on top? 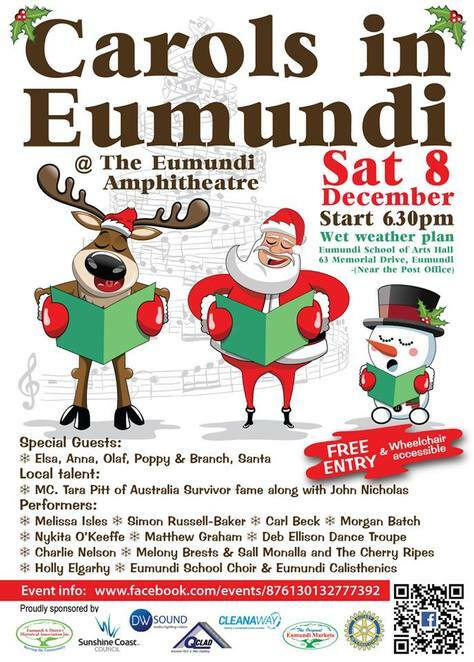 The Eumundi Community Christmas Carols' event is totally FREE! Bring your chairs and picnic rug and settle in at the Eumundi Amphitheatre for a memorable night of festivities under the stars. Burgers and drinks will be available from the Eumundi Rotary Club, so big and little tummies will be happy. There's even a Glowies Stall - the safer alternative to candles. 2018 Eumundi Community Christmas Carols have heaps of talented performers and special guests too. 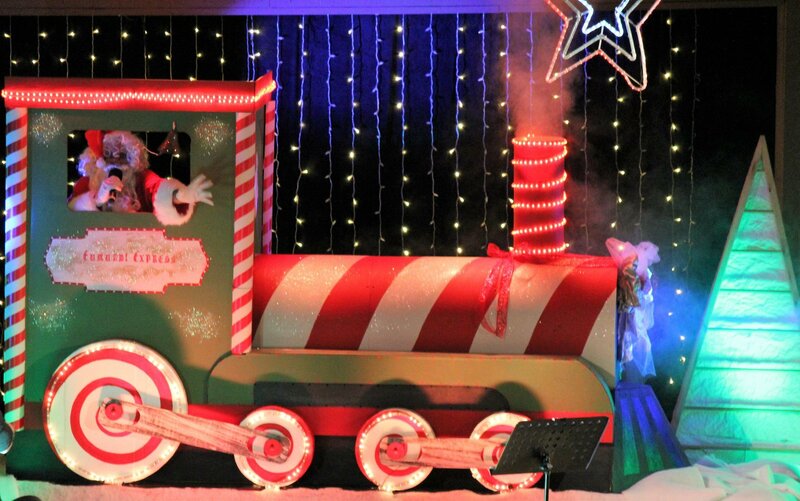 Look out for Poppy and Branch; Elsa; Anna & Olaf; Cinderella and Belle and of course, a Christmas celebration wouldn't be a real celebration without the jolly ol' guy in the red suit - Santa! The Eumundi Calisthenics and Eumundi School Choir will be making a special appearance too. In addition to all the festive activities at the Eumundi Community Christmas Carols, Coruno Laser Productions will be lighting up the skies with a spectacular Laser show - definitely one not to be missed. 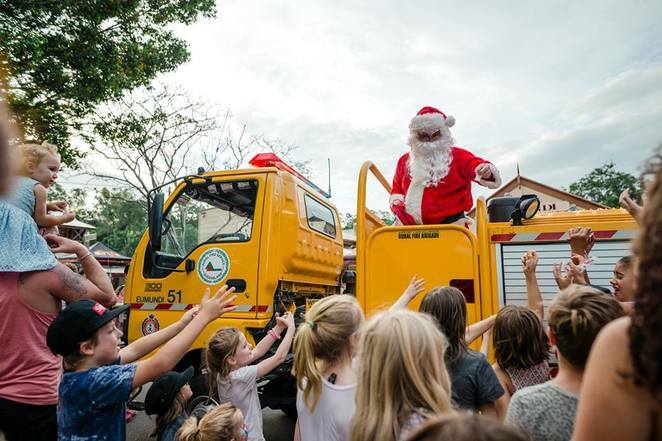 In the event of rain, the Eumundi Community Christmas Carols will be relocated to the Eumundi School of Arts Hall at 63 Memorial Drive in Eumundi. This event is wheelchair accessible too. One night only! The Eumundi Christmas Night Market is tempting us all with a one-night, just before Christmas, night of retail therapy under the stars. This is perfect timing for last minute stocking fillers or, for those like me, who might not even have started yet. 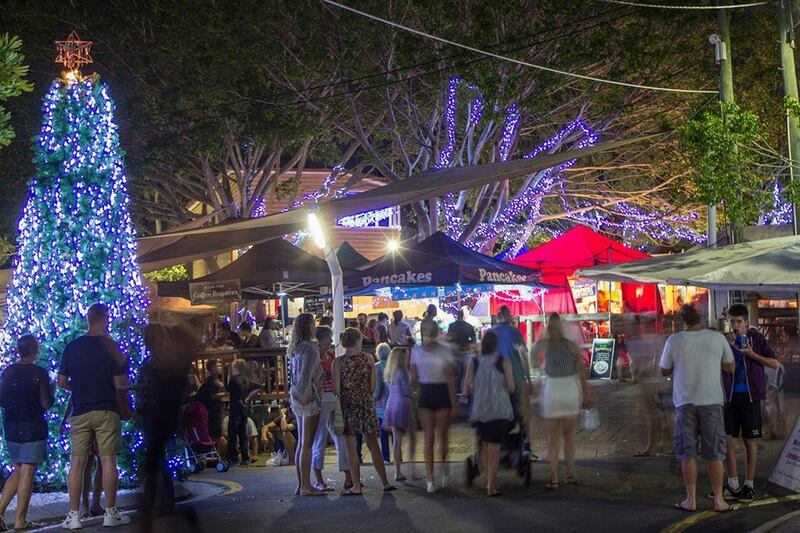 From 5.00pm to 9.00pm the Eumundi Christmas Night Market will come alive with festively coloured street performers and live music from Dean Gray, to get everybody into the festive groove. A Christmas Night Market surely wouldn't be the same without Santa - even though he's on a very tight schedule, you know - but all the same, is making an appearance on the Eumundi Fire Truck at about 6.00pm, and then will be available for some photo opportunities too. 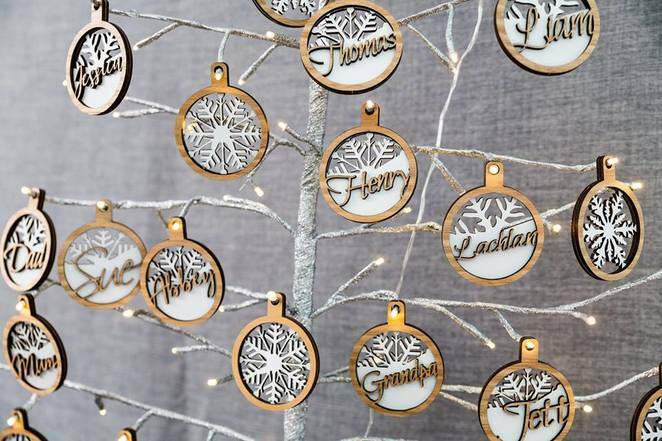 The Eumundi Christmas Night Market, with its legendary selection of arts and craft stalls, is promising a memorable Christmas shopping experience under the stars. Bookmark the dates, we have a fabulous trio of festive Christmas celebrations taking place in Eumundi - they're definitely too good to miss! 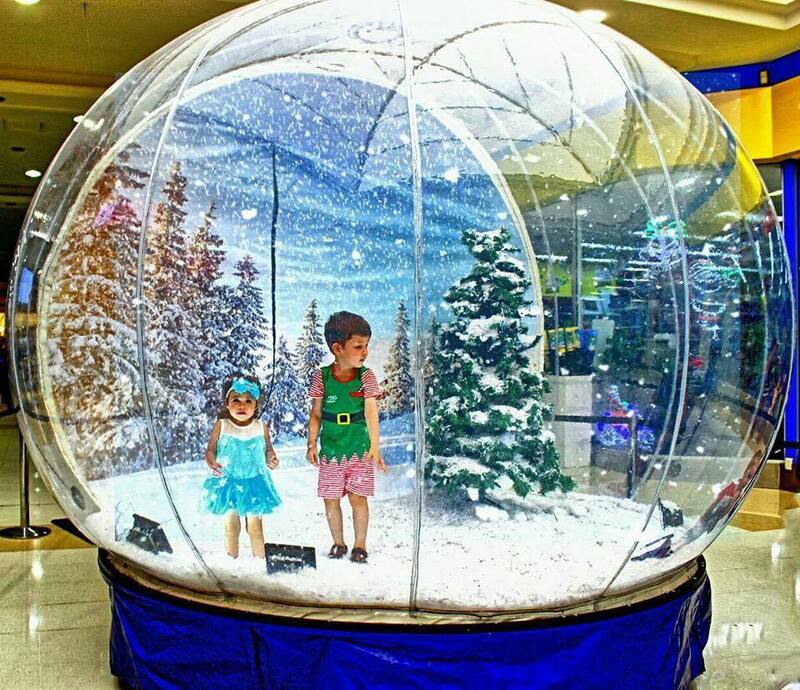 I love that massive snow globe!